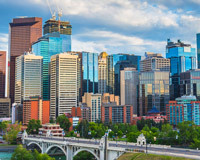 As the capital of Canada's most vibrant province, Edmonton's economy defies easy classification. Manufacturing, construction, trade, transportation, and primary production all contribute to the area’s prosperity, and no one industry is large enough to steal the spotlight. Hot Shot Trucking keeps each of these industries, and thus the Edmonton area as a whole, efficient and prosperous. 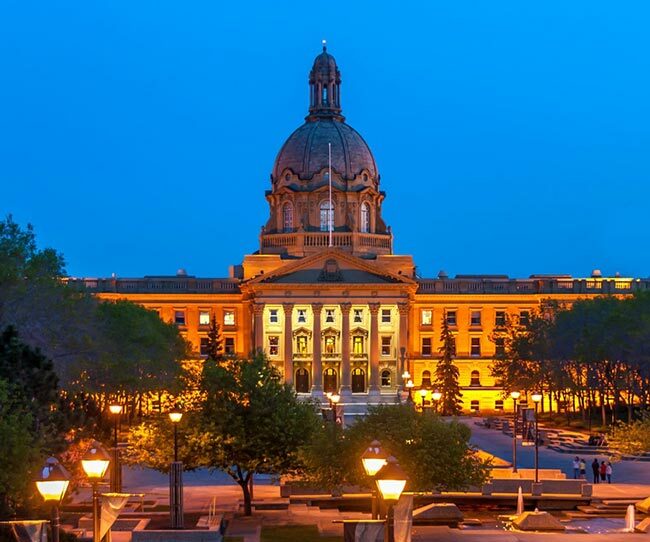 The Edmonton area’s prosperity is the result of close cooperation between all its constituent cities. Edmonton proper’s retail and finance sectors intersect seamlessly with Fort Saskatchewan's heavy industries, St. Albert’s skilled workers, Leduc’s trade corridors, and other activities throughout the region. For this collaboration to work, businesses in each part of the Alberta Capital Region must be able to ship to all of the others without delay. Unsafe or poorly planned shipping can lead to accidents and congestion, throwing off the entire economy. 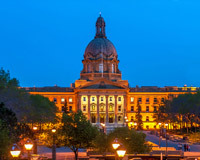 Hot Shot Trucking has long served the Alberta Capital Region and its many businesses. With vehicles and coverage in Edmonton and experience across dozens of industries, we have no trouble completing your deliveries rapidly and reliably. Deft Driver Teams - Whenever a vehicle has to cross thousands of kilometers, we place two drivers in it. One driver can sleep while the other operates the vehicle; they then switch when the latter becomes too tired. Through this strategy, our vehicles can stay on the road both day and night, yet our drivers never become too fatigued to do their jobs safely. Dedicated Diligence - Hot Shot Trucking offers dedicated deliveries, meaning that your order will have its own vehicle. This makes it simpler to install specialized storage equipment for unique goods. It also eliminates detours, reducing the length of the journey dramatically. Catered Communication - When you sign on for Hot Shot services, we provide a single communication hub for you to learn everything about your orders. In addition to answering your questions and updating you on the order, we are also happy to receive and apply new instructions whenever you need to give them. Vast Vehicle Coverage - In addition to Edmonton, our coverage includes Calgary, Montreal, Toronto, Winnipeg, Vancouver, and most major US cities. This means that when you place an order, we are likely to have a vehicle within 2 hours of the pickup point. This gives us a head start on delivery. Vehicle Verification - The Hot Shot truck maintenance team performs regular inspections on all vehicles, and makes the repairs and upgrades necessary to keep them working. We strive to prevent our trucks from ever breaking down on the road, thereby eliminating a major source of delay. Our maintenance work also lowers fuel use, increases speed, and reduces Hot Shot freight prices. 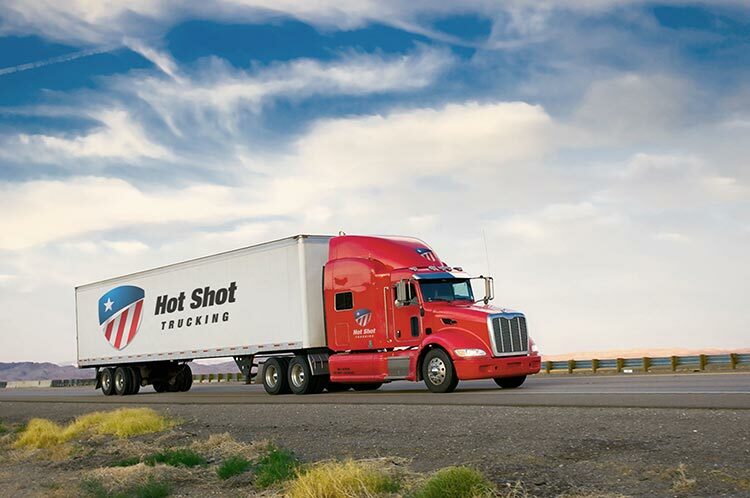 When you schedule a Hot Shot delivery, we provide a truck that is the perfect size for the order. We choose from a line of sprinter vans, straight trucks, and tractor trailers, working to minimize empty space and keep prices low. For a free quote on your next order, call (587) 400-9766 or visit our website today.